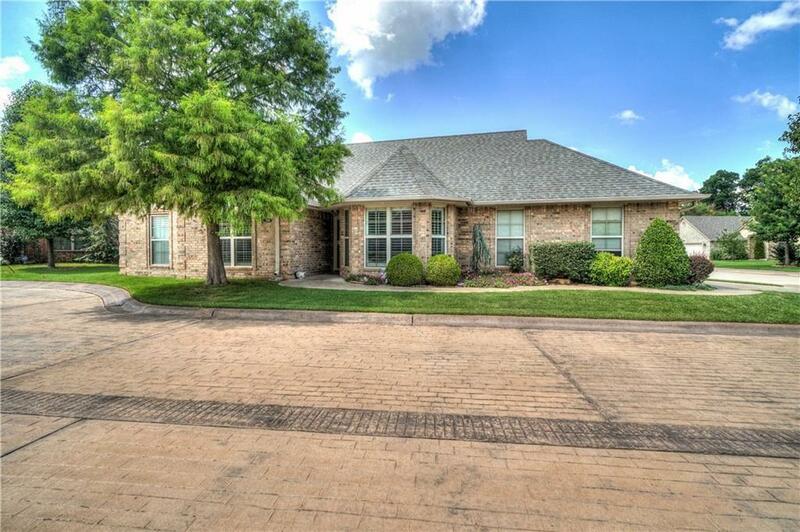 Welcome to premier living for 55+ in Shawnee's only gated and full service community. Be prepared to WOW your guest in this beautiful home. Gorgeous finishes, soaring ceilings, granite countertops, primo flooring and thoughtfully laid out spaces. The outdoor areas are perfect for relaxation with the covered patio, neatly manicured lawn and stunning pergola to name a few! Just imagine the joys of living practically maintenance fee! All landscaping and lawn care is done for you here! Other benefits include trash pick up, mail pick up, odds and ends such as light bulbs changed, air filters changed and a community safe house (storm shelter). You'll love the ease of living in The Cottages III addition within the Shawnee Golf and Country Club. Come take a look!